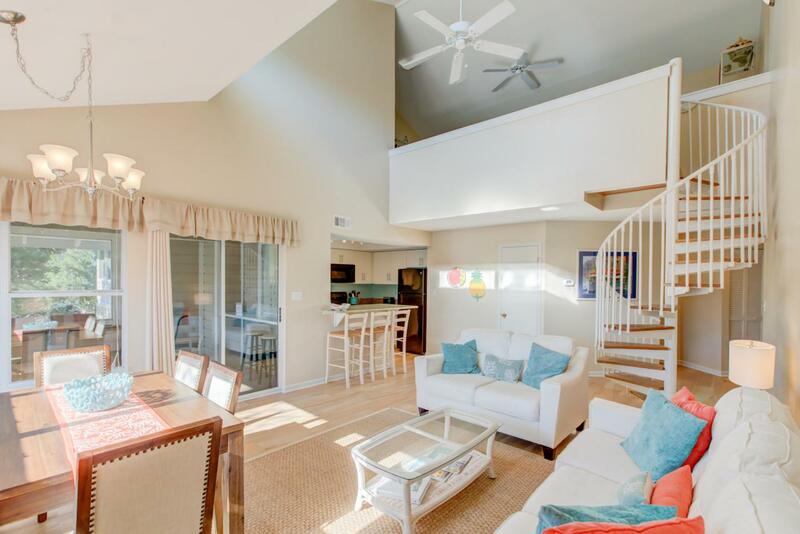 Tennis fans don't miss out on this fabulous three bedroom town home style condo overlooking the Hidden Dunes tennis center. The Beach Cottages are nestled in the trees for the utmost in privacy. Large screen porch for additional entertaining space. Grand two story family room with plenty of natural lighting. Chefs kitchen with granite tops, breakfast bar and serving area to the porch. Master and guest bedroom and two full baths on main level. Loft style third bedroom with full bath on second level perfect for the kids to make it their own. Lovingly upgraded and maintained by owners. New HVAC FEB 2019 Guard gated community with seasonal tram service to the private beach. Huge community pool area with hot tubs. Easy walk to the beach. Pet friendly with dog park. Kid friendly community.